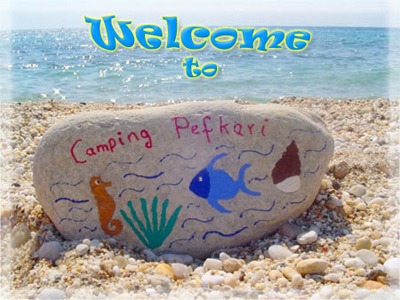 Our camping is located on the southern coast of Thassos Island next to the famous beach of Pefkari. In an area of 17 acres that is surrounded by olive trees and pines, the campsite is a favorite destination for hundreds of visitors from all over Europe for 30 years. Staying here will provide a unique and satisfying experience to anyone who desires a magnificent natural environment, impeccable cleanliness and the friendliest of service. We guarantee that you will come back again and again after experiencing what we have to offer.